Following over a century of fire suppression policy, fire-dependent landscapes in the West have remained unburned for over a hundred years, leaving forests with acres of ready-to-burn underbrush and stifling certain plant species that require the heat from fire to seed and a cleared forest floor to grow. The 2017 fire season left much of Oregon blanketed in a thick, dense smoke last summer. With the Miller Complex fires near the Applegate Valley, the Chetco Bar Fire near the Kalmiopsis Wilderness in southwestern Oregon and the Eagle Creek Fire north of Portland raging through Oregon, thousands of acres of land were left scorched. Parsons is a retired soil scientist and former employee for the U.S. Forest Service and Bureau of Land Management where she worked for over 30 years. 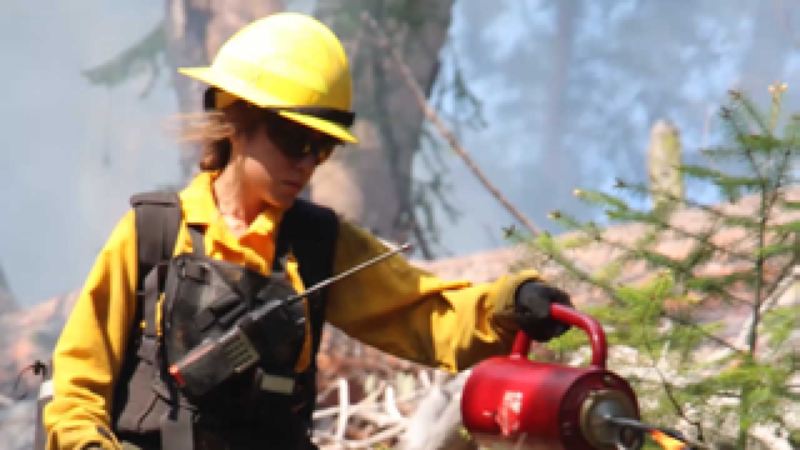 She has worked with fire as both a firefighter when she was younger and as a member of post-fire recovery teams, where she mapped fire effects and burn severity. Clover, who is a retired medical entomologist, worked with infectious diseases like the bubonic plague and lyme disease. The retired couple now runs a vineyard on their property, growing and selling grapes to wineries in the Applegate Valley. While Clover tends to the vineyard, Parsons is responsible for bookkeeping and administration. They have lived there for 22 years and have worked to steward the land and to restore it to a more natural state following federal and private clear cutting that had been done previously in the area. “We’re not getting any younger,” Clover quipped. Maintaining, controlling and suppressing fires every season has turned into a multi-million to billion-dollar annual expense. 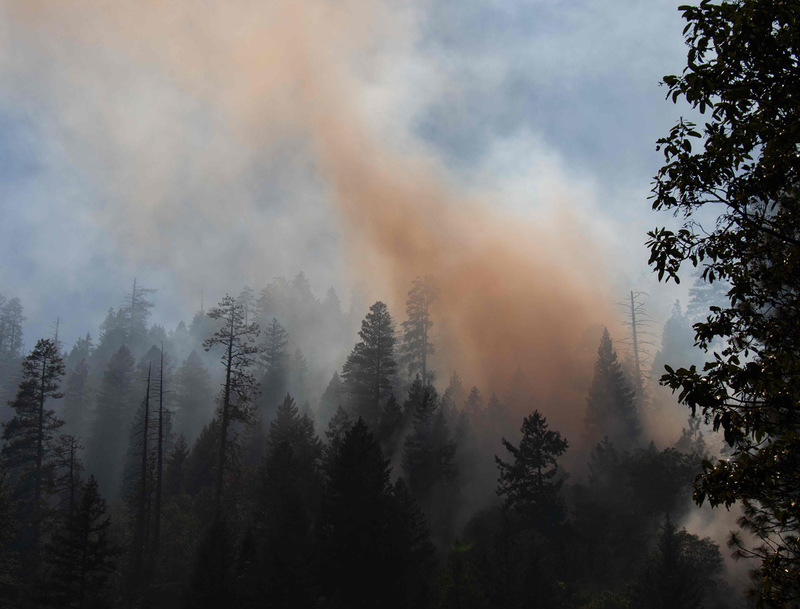 With acres of untreated land and uncontrolled underbrush fuel, Oregon forests and communities remain vulnerable to the rage of wildland fire every season. According to the authors of “Prescribed Burning Costs: Trends and Influences in the National Forest System,” a prescribed fire averages $103.68 per acre, whereas, according to the National Interagency Fire Center, fire suppression costs in 2017 averaged $291 per acre. And, according to research by the Ecosystem Workforce Program and the Institute for a Sustainable Environment at the University of Oregon, fire suppression has grown from using less than 20 percent of the Forest Service’s discretionary funds before 2000 to 51 percent in 2014. Parsons and Clover’s 24 acres are but a miniscule dent in Oregon’s fire crisis — but small, lower-risk prescribed burns in the offseason, like the one conducted in the meadow, are a step toward more fire-resilient forests and are significantly cheaper than fire suppression. 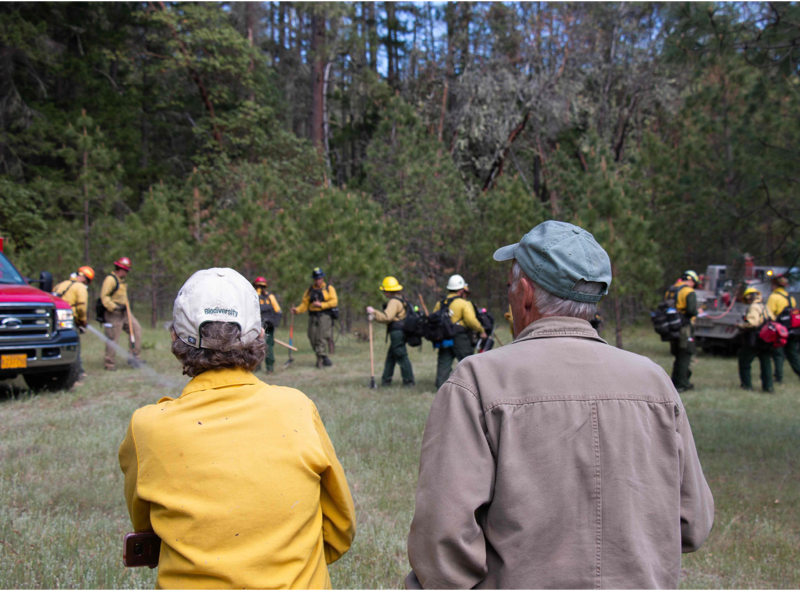 Annette Parsons and Jim Clover patiently wait for fire crews to begin a prescribed burn on their property in the Applegate Valley of Oregon. Annette Parsons and Jim Clover sat in folding lawn chairs waiting for fire crews to ignite the meadow behind their home and vineyard in the Applegate Valley of southern Oregon. The crew was planning to burn four acres of meadow on the first day, but in total, 24 acres of Parsons and Clover’s land were set to burn over the course of the two-week prescribed fire training. “I spend a lot of my time, even working up here in the vineyard, turning around and just looking and grinning. It’s beautiful here and we want to maintain that, keep it that way,” Clover said. 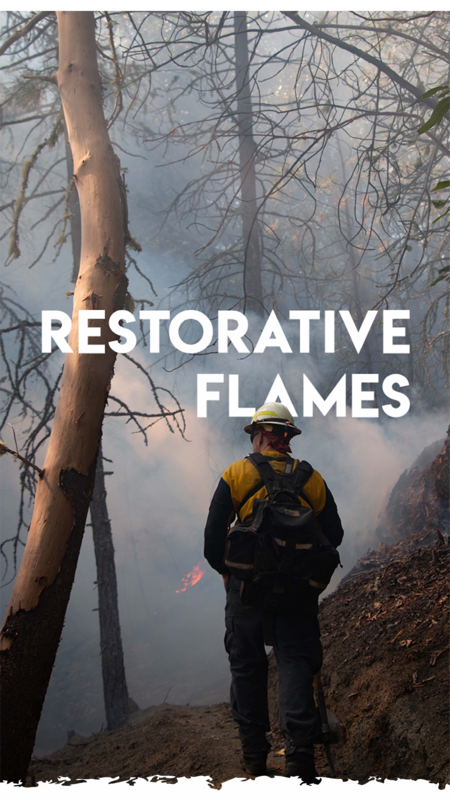 When natural wildland fires start, they are increasingly difficult to stop and control, leaving communities left dealing with the repercussions of dense smoke and often devastating fire damage. As fire seasons grow increasingly intense and increasingly expensive, some fire ecologists think small-scale, low-intensity prescribed burning during prescribed weather conditions may be a viable solution. The meadow, which is situated about a half-mile east of Parsons and Clover’s home and is nestled in the foothills of the Applegate Valley, is mostly open grassland with a handful of trees, surrounded by the forested foothills. The burn objective was to reduce invasive grass species, creating space for native grasses, while also making the Parsons-Clover property more resilient to wildland fires. With one final all-clear, Parsons and Clover excitedly awaited the first of several burns on their land. Lighting crews set out for the northwestern edge of the meadow, while fire engines and holding crews created a wet line, spraying water from the engines, on the outer-boundaries of the prescribed burn site. Lighting crews began lighting the meadow ablaze. They carried drip-torches – a small cylinder tank filled with a two-thirds diesel, one-third gasoline mix – and began dropping flaming fuel on the grass of the meadow alongside the recently-wet fire line. They began to move down the meadow in strategic sections, creating a grid-like mosaic of the land and lighting new lines. Meanwhile, holding crews followed with engines and tools, checking for spot fires – embers that jump the fire line and create a new fire outside the prescribed boundaries – and duffers – fires that sneak across the fire line. About 20 minutes into the Parsons-Clover burn, the burn boss called for the lighters to stop and the holders to start putting out the fire — uncommon instructions on a prescribed burn. While it is not unusual for fires to be held and for lighters to stop laying new lines, often already burnt land is left to smolder. In this case, the burn boss called for the fire to be put out completely. The holding crew began spraying the scorched earth with water and covering it with dirt, snuffing out the fire completely.